Oh, coffee. You’re our best friend and our computers’ worst enemy. We need you to function, but carelessly allow you to destroy electronics when our shaky, over-caffeinated hands knock over a mug full of sweet, sweet java. The Mighty Mug is the up and coming hero of desk workers and other spill-hating folks everywhere. 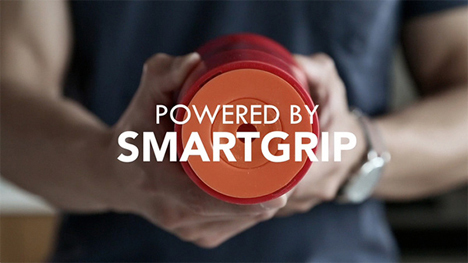 The mug’s unique design incorporates something the company calls Smartgrip Technology, which allows it to be pushed, smacked, and knocked around – all without tipping over. 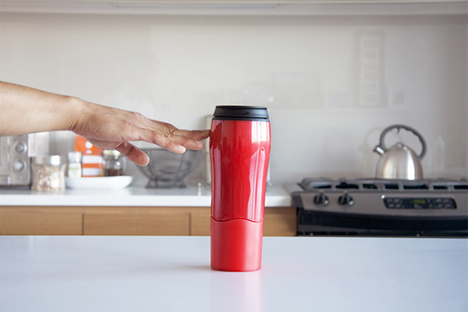 This is thanks to a little setup on the bottom of the cup that forms an instant vacuum seal when you put it down. You don’t have to push down hard or press a button – it just happens naturally. And as long as it’s on a flat, non-porous surface, it will stay right where you put it. When you need a drink, though, the Mighty Mug lifts straight up like any other drinking vessel. No extra effort is required to release its grip. 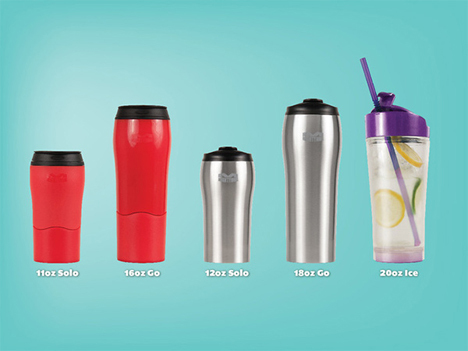 It’s BPA free, dishwasher safe, and the newer models fit in your car’s cupholders. 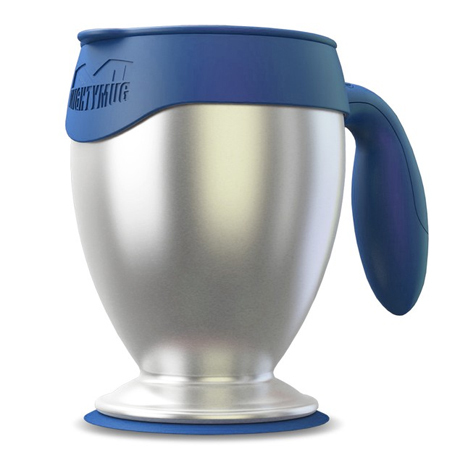 While the original Mighty Mug has been on the market since 2013, the company is now introducing new styles: a double-walled vacuum insulated model, a shorter one to fit in Keurig coffee makers, and a cold beverage mug.